More importantly, how to reverse it! So you’ve been diagnosed with type 2 diabetes. Has your doctor explained to you what you can do to reduce or reverse your symptoms? Does it involve pharmaceutical drugs? Have you been told it’s hereditary and/or to do with your lifestyle? Is it implied that it’s your fault? Who’s at fault? Certainly not you! The fault lies with the medical fraternity. They should have informed you of how you can control your symptoms or even reverse your condition. An efficient natural remedy should be used rather than a toxic drug. More fault lies with the food manufacturers. They produce the junk food which makes us sick and causes addictions to processed products, sugars and sodas. This puts us and our children’s future health in peril. The pharmaceuticals IMHO, have the heaviest burden of fault. They should be brought to task for producing drugs for the purpose of profit at the expense of patients’ lives and health.Statins come to mind. A completely useless drug with nasty side effects. Did you know that as many people die of heart events, who have low or so called normal cholesterol, than those with higher levels. 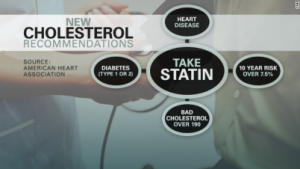 In other words there is no distinction between different levels of cholesterol for risk of heart disease. It’s all a myth, put about by the pharmaceuticals. So get on and eat your eggs and grass fed butter and wean yourself off your statin drug! The media can also take the blame. They filter out advertising and programs that may be detrimental to Big Pharma’s profits. This misinformation does not educate the viewer, it just misleads them. What’s worse, is publicising material given to them by Big Pharma which is often propaganda. An example is the efficacy of the flu shot. But the buck stops at the government. The government should be regulating all these companies for the sake of their electorate’s wellbeing. But the government is too weak, tempted by industry incentives and driven and controlled by lobbyists and finance. Your medic already has the template for treating your diabetes and he has no reason to change that dogma. Big Pharma would certainly take a dim view of it if your doctor stopped prescribing their drugs! But could the reason you have this disease be because of a simple deficiency? Let’s look at the evidence. Many people suffer with a condition now known as Metabolic Syndrome or Syndrome X but most don’t know what it is. It has been identified in people with adult onset diabetes known as type 2 diabetes, who may or may not have hypertension. Some patients may have hypertension but no diabetes, but insulin resistance and high blood sugar levels are common in either case. Also high levels of low density lipoprotein (LDL) the so called ‘bad’ cholesterol and midbody fat accumulation is often evident. This combination of health disorders collectively increase the risks for diabetes, heart attack, stroke and other cardiovascular diseases. Many consider diabetes goes with obesity but not everyone with diabetes or heart disease is overweight. This goes to show that there’s something else going on. Anyone can have a magnesium deficiency whether they are lean, overweight or obese. The majority though will tend to be holding much of their weight around their middle. Some will appear lean but can be harbouring visceral fat. This fat is stored within the abdominal cavity, around the vital organs and not evident from outward appearances. blood clotting not necessarily due to narrowed blood vessels. These problems could occur alone or in any combination. But it was clear there was an association with a high risk of heart disease. Most notable was the research that emerged finding a distinct link with a lack of magnesium. This justified adding a magnesium deficiency to the above list of symptoms putting cardiovascular disease, diabetes and magnesium deficiency as part of a single cause of metabolic syndrome. 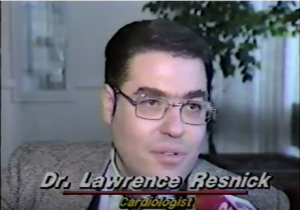 Dr Lawrence Resnick, a practicing physician, researcher and professor of medicine at Cornell University, was working on the hypertension line of the research. This revealed that cellular levels of magnesium in relation to calcium had a direct correlation in the development of heart disease and metabolic syndrome. In 1984, Dr Resnick and his coworkers published their findings. The magnesium levels inside ALL the cells of their patients with hypertension were low. Later in 1988, they found that the cellular magnesium was also low in patients with insulin resistance. 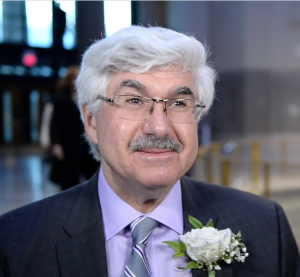 Dr Resnick and his researchers published their ionic theory of syndrome X. As a cell’s magnesium ion level falls, it allows calcium ion levels to rise. The result is a low magnesium to high calcium ratio which affects the proper functioning of cells and brings about metabolic syndrome. Pancreatic cells over produce insulin causing hyperinsulinemia. Fat cells and muscle cells become unable to respond to insulin. Blood vessel cells constrict and stiffen arteries leading to hypertension. Blood platelets become sticky leading to coagulation within blood vessels. Heart muscle cells become enlarged and excessively contractile. 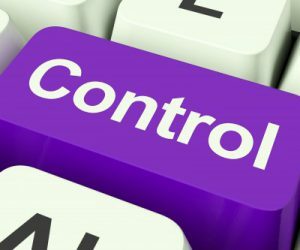 Adrenal gland cells make and release too much stress hormones. Nerve cells overreact to stimuli. Liver cells produce too much glucose. Kidney cells increase sodium retention. Many of the processes above will actually lower magnesium levels even further which exacerbates the problem causing a vicious circle. One of magnesium’s vital jobs is to keep calcium out of the cells unless it is warranted, for example, for the fight-flight response. Once calcium’s job is done, magnesium ushers it back out of the cell. If calcium stays in the cell, that cell will die. It is no coincidence that the incidence of syndrome X and diabetes has risen in line with the deficiency of magnesium in the general population. Type 2 diabetes is different from type 1 in that diabetics produce plenty of insulin but the problem is, their cells do not respond to it. The cells are insulin resistant. 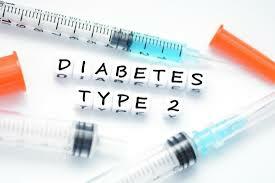 Type 2, once only common in the older population, is increasingly being found in children and young adults. Although the disease may have a genetic tendency, it is usually brought about by years of eating junk and processed food. Diets high in refined foods with loads of sugar are mostly devoid of magnesium. Metabolic changes ensue and the cells become resistant to the action of insulin. Therefore, glucose can no longer enter the cells and the patient becomes hyperglycaemic. The reaction from the body is to make even more insulin to deal with the excess glucose. This excess insulin is also renowned for driving magnesium out of the body through the urine, further exacerbating the problem. 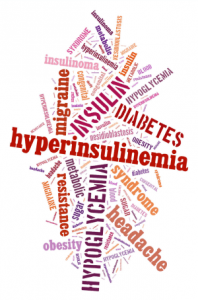 This produces hyperinsulinemia along with high blood sugar which causes the abnormalities. Thus, type 2 diabetes is actually a magnesium deficiency that manifests as metabolic syndrome. So for those patients with either type of diabetes, a tendency towards a high risk of heart disease is brought about by a magnesium deficiency. The utilisation of glucose by the cells actually depends on magnesium. Each of the cells have insulin receptors which have to be triggered. Once triggered, the cell wall allows glucose to enter. If these receptors are not triggered, the insulin cannot bind to the receptors and glucose cannot enter the cell. This appears to be a little known fact but it makes sense because once magnesium is lowered in the cell and calcium takes over, those receptors, that need magnesium to work, are not viable, hence insulin resistance. There have been studies that clearly show that animals deprived of dietary magnesium develop insulin resistance. Diabetes researcher Dr Jerry Nadler of the Eastern Virginia Medical School who was given the ‘top scientist’ award for 2016 says “the link between diabetes mellitus and magnesium deficiency is well known.” and “diabetes is a magnesium deficiency state”. It’s a pity that the general medical profession seem to be devoid of this information, to the detriment of diabetics! The American Diabetes Association (ADA) conducted a study which proved that supplementing with magnesium improved insulin sensitivity and blood glucose control in diabetic patients. As a result, the ADA published a consensus statement recommending that those patients with diabetes and low magnesium levels should take magnesium supplements. That consensus was published in 1992, 25 years ago!! Why is this simple piece of information still not general practice. How many diabetics are and have been suffering because this has not been disseminated to the general medical profession worldwide? Has your doctor suggested a magnesium supplement? Has your doctor told you that a magnesium supplement will help your diabetes or pre-diabetic state? If not, have a word with him but don’t hold your breath. He will likely dismiss magnesium as not necessary probably because he knows little about it. Remember, medical schools do not teach about nutrition, vitamins and minerals. Your doctor is more likely to treat each one of your symptoms with a different drug, encouraged and pressed to do so by the pharmaceutical companies that produce these drugs. This will likely further deplete magnesium from your body as most drugs are known to cause magnesium depletion. Magnesium is a completely natural and safe mineral. Without it we cannot survive. It has an abundance of vital roles to play in the body, one of which is enabling the insulin cell receptors to facilitate glucose into the cell. Be informed, be aware, take your health into your own hands. Make sure any research you find has been done by unaffiliated researchers. Those who are truly trying to improve the health of the nation, rather than get rich at the expense of the sick. If you want to start taking magnesium, be aware that not all supplements are created equal! The most poorly absorbed is magnesium oxide, hence it’s the cheapest. Magnesium citrate powder is ideal if you suffer constipation and/or IBS problems, common with a deficiency. Magnesium Chloride solution is IMHO the best option and is highly absorbed. In the US you can get ReMag. Ionic Magnesium is similar to ReMag but less expensive and can be obtained in the UK as well as the US. You can always use a topical Magnesium Chloride by way of a spray such as Ancient Minerals. Magnesium Chloride is a very small molecule and is readily absorbed through the skin. So now you know how magnesium can help your diabetes, what else can you do? My next post will be about the simple way to reverse your diabetes. If you do this, you will soon be off your meds and be in the best health ever. Look out for my blog on Monday 30th July 2018. You can reverse it, that’s what! Here’s to all you diabetics out there. Repleting with magnesium will improve your general health and diminish your type 2 symptoms. 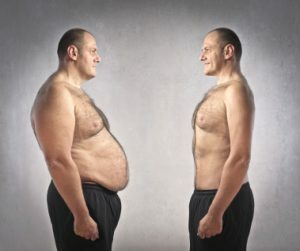 But even better, next weeks’ article is about fully reversing type 2 diabetes. This information will change your life forever. It’s simple and costs nothing. So stop by next week and get genned up! 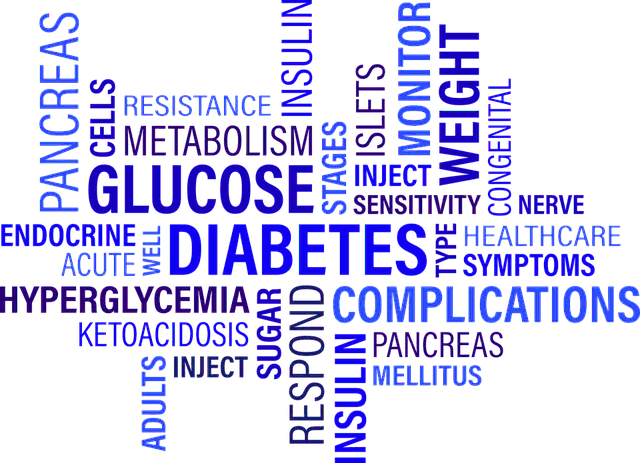 Type 2 Diabetes - what causes it? So you've been diagnosed with type 2 diabetes. Has your doctor explained to you what you can do to reduce or reverse your symptoms? I agree that if it could affect someone’s pockets, no matter how it might affect people’s lives, companies refuse to do the right thing. Most of the time doctors don’t have the time to really research medications and may rely too heavily on the pharmaceutical reps information. Its vital that we do our own research and then discuss our findings to help educate our doctors. Magnesium is just one example. How many other simple and natural ways are there to bring our bodies back into balance? Exactly right Jim, thanks for your important comment. Doctors are controlled and are too trusting of the pharma industry. This in turn gives our doctors carte blanche to do the pharmaceutical industries bidding. I firmly believe that many doctors have been brainwashed into considering nutrients to be some kind of fad. We were born with the right balance of nutrients in our body, why wouldn’t we want to keep that balance throughout our lives to keep us healthy? The chemical companies like those producing poisons like ’roundup’ are now being treated with suspicion from much of the population. At this very moment there is a court case suing Monsanto of causing a gameskeeper’s cancer because of glyphosate which is an ingredient of roundup. Thanks for the great article Ches. I used to apply magnesium to my diet all the time and actually had a spray I once used, which you apply to your skin and gets absorbed that way. I actually really miss using it after having arrived on your article. I definitely noticed huge improvements in general health and well-being, especially with sleep, energy, and digestion. I’m really glad to see its being used in other facets of life and as a way to confront other health issues. Thank you for the education! It’s great to learn some of the physiological mechanisms causing diabetic suffering, and how Mg works at a cellular level with glucose and insulin. Your summary of how different forms of Mg are absorbed was useful, and the tirade against Big-Pharm is appreciated! Patients should be informed and encouraged to seek solutions based on how our bodies function. After reading your article I went and bought some Magnesium Citrate powder. I don’t sleep particularly soundly, I get terrible headaches and my digestion isn’t great either. After going through some of the symptoms I’ve decided to give this a try to see if it helps. Your article is really comprehensive and gave me a lot of scientific information, which I like! It’s good to understand and know a bit more about what magnesium is needed for, and the different forms it comes in. Thank you! Hi Ches, I would like people who can read, would be more interested in their lifestyle. We can not change habits fast, but we can do it slow and steady. As I remember, my parents and grandparents did not have this type of problems. Of course, they had to worry about something else such as what to put on the table after World War II. As Earl Nightingale, the famous American broadcaster and writer told that people do not know how to think. If they would think they would see what something is not right with life. I wish that your visitors would get information from your website as much as possible what they can adapt in their lives. Diabetes is not fun. It is a serious condition. Hello, Chessie, thank you for educating human beings about the importance of magnesium. Overall, as I see that nobody mentions about reasons why somebody got cancer or diabetes. I guess that it is everything about money. If people will be healthy, who will buy drugs or pay enormous amounts of the money for surgeries? I think that websites as yours will give a chance for visitors to think about their lifestyle. What do I mean? Diabetes II occur when people consume to much sugar, are obese and not active. In the USA, people consume 140 pounds of sugar per person. The sugar overload prompts the body to become acidic. It is no fun. To change this condition, the body must withdrawn minerals from storages such as bones and teeth. Sugar, when is refined, is stripped from 93 percent of chromium, 89 percent of manganese, 98 percent of magnesium according to the doctor Abram Hoffer. All these minerals are vital to life. The magnesium deficiency in the body shows as these complications: heart disease, high blood pressure, eye damage, and obesity. I heard that diabetes can not be treated but people can live normal lives if they would take care of themselves. Your website shows how to do it. Hi there Nemira and thank you for reading the post. There is so much that magnesium (Mg) does for humans, animals and plants that it can be implicated in many diseases including cancer, neurological conditions like parkinson’s and multiple sclerosis, bone disorders like osteoporosis, breathing problems such as asthma, the list is endless. This is simply because it is used in nearly every area of the body and has been with us since the start of our evolution. Also cardiovascular disease research extending over more than 70 years shows low magnesium levels contribute and to heart disease. It is a simple remedy for so many ailments but the medical fraternity choose to ignore it for some reason, which I suspect is both ignorance and financially based and a lot to do with Big Pharma’s influence and profits. Diabetes is just one serious illness that can be caused by a Mg deficiency. Problem is Mg is easily depleted and used up by so many processes for which it is necessary, not least producing our energy through Mg-ATP (adenosine triphosphate). Thanks so much for your helpful article. I can’t stand how many products these days are so ridiculously unhealthy. The manufacturers don’t have any other motivation in mind than to make money from causing these diseases and illnesses. It really is so great to hear that we can try and reverse it, I’ll be passing along this information to my grandfather who has type 2 diabetes.